rodeasdown.com.au – It’s shellac, it’s vinyl… No, it’s Super Vinyl! Audiophiles have a long history of paying premium prices for premium quality recordings, and now, in a true test of an audiophile’s resolve, premium recordings are moving up to whole new level. It’s called UD1S, for ultra-disc one step and it uses material called super vinyl. And UD1S recordings of your old favourite albums will cost you, wait for this, $260 each. If you’ve never heard of UD1S or super vinyl, well you’re hardly alone. Explaining the technology is difficult because information about it is not being shared by those who are using it, I guess because if they did everyone would be using it and the prices would drop out of the ionosphere and down into the stratosphere. But it appears to me to be all about the compounding of the vinyl itself; reading into the literature it seems the new stuff is finer and more malleable when being pressed, yielding better definition within the grooves and less friction for a lower noise floor and reduced surface noise. There’s a bit more going on too. The process of mastering the record avoids two steps which normally take place and which can result in a fractional loss of quality. Following the UD1S process the engineers start with the master tapes and cut a set of lacquers that are used directly to form the stampers for the records, avoiding the additional steps of pulling another positive and an additional negative, as is done in the three-step process used in conventional record pressings. UD1S’s creator, MoFi, or Mobile Fidelity Sound Lab of Chicago claims this, together with the super vinyl, results in the world’s quietest surface and it “provides the closest approximation to what the recording engineers hear in the mastering lab.” MoFi, by the way, has been manufacturing audiophile-quality records, CDs and cassettes for more than 40 years. 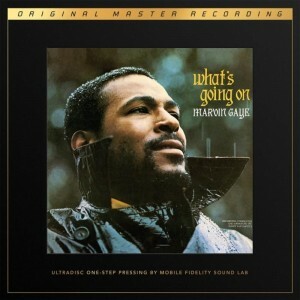 Melbourne importer Synergy Audio Visual is testing the local market with a limited edition of Marvin Gaye’s ground-breaking album of 1971, What’s Going On. This was released on Motown’s Tamla label and includes the company’s fastest ever selling single. What’s Going On is MoFi’s first UD1S offering to make it to Australia and it’s a two-record set. Yep, the original was only one record but it played at 33-and-one-third revolutions per minute; these ones play at 45. And the elegantly boxed set is not just staggeringly expensive, the worldwide release is capped at 7500 copies and only 120 are coming here. It’s already sold out on pre-orders in the United States and you can expect a good deal of these to bob up on eBay at an even higher price. I can’t tell you how it sounds because review discs are not available and as a starving freelancer I can’t afford the $260 involved, so if you sign up for a copy you’re on your own. But you’ll need good equipment to get the most out of it. You can order it at serious hi fi shops that deal with Synergy Audio Visual, whose website (www.synergyaudio.com) unfortunately does not list its dealers handling MoFi records, so it’s worth phoning around. I’d be very surprised if any dealer would let you listen first. 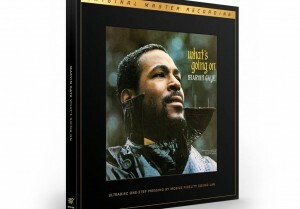 If you go to MoFi’s American website (www.mofi.com) its UD1S recordings are offered there too, but after shipping and bank fees the difference comes down to just a few bucks and a bit of wait time. Depending on how this goes Synergy plans to import future recordings. Stevie Ray Vaughan’s Texas Flood and Portrait in Jazz by the Bill Evans Trio are in the works. First published by smh.com.au February 2019.